On island feedstock for an AD would come from the two grocery stores, Vashon School system, several restaurants, Island Springs Tofu, nurseries, landscapers, and potentially several farms. Anaerobic digestion is a biological process that occurs when organic matter (in liquid or slurry form) is decomposed by bacteria in the absence of oxygen (i.e., anaerobic). As the bacteria “work,” biogas is released, which consists of approximately 60-70% methane and 30-40% carbon dioxide. This methane gas can be recovered, treated and used to generate energy in place of traditional fossil fuels while reducing greenhouse gas emissions. The effluent remaining after controlled anaerobic decomposition is low in odor and rich in nutrients. 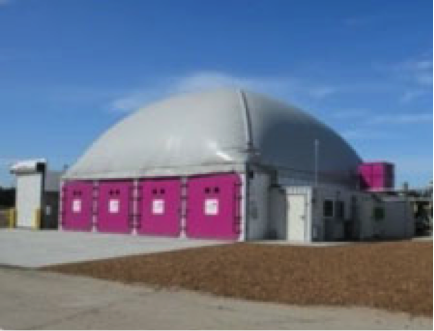 Anaerobic digestion systems are often referred to as “anaerobic digesters,” “biodigesters” or “biogas recovery systems.” AD systems are usually preferred for municipal systems because they are closed systems that control odor, seepage, and work much faster than aerobic systems. Digester effluent can be separated into liquids and solids that add economic value to a project. The liquid effluent from a digester can be used as a fertilizer, reducing the purchase of commercial fertilizers. Digested solids can be removed from the digester effluent by means of a solids separator. The separated solids are commonly used as livestock bedding. It can also be sold for use in landscape products, such as soil amendments or biodegradable planting pots. Emerging applications for effluent solids include their use in structural building materials, such as deck boards and particle board. 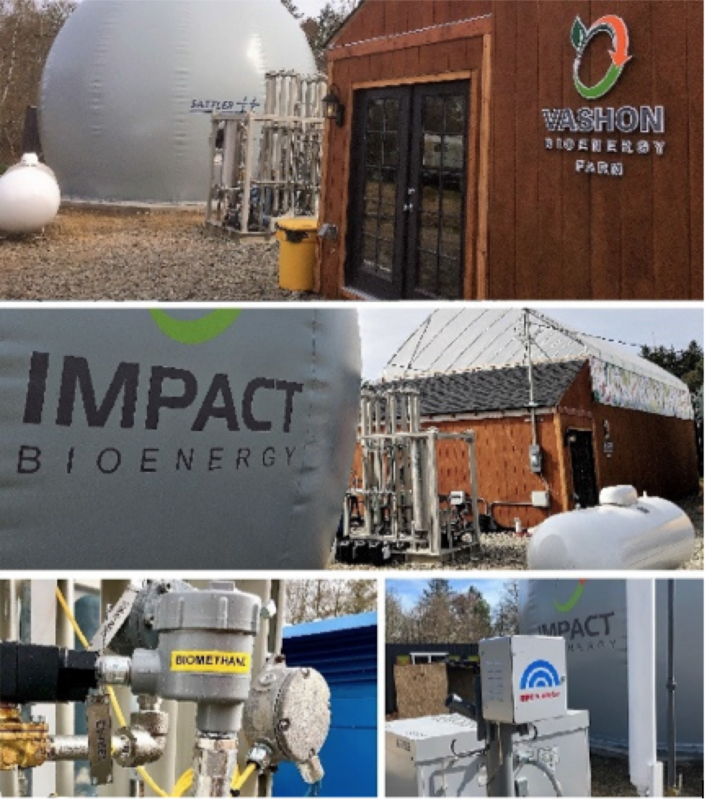 Anaerobic digestion systems have the opportunity to be co-generators using the biogas produced for heating greenhouses, powering generators and powering vehicles. This affords greater efficiencies and further reduction of greenhouse gases. There are two methods for anaerobic digestion, wet and dry. Wet systems run with organics having >75% moisture content. It is ideal for dairy industry use. Dry AD is recommended for operations with large amounts of food waste, yard clippings, dry manure on bedding and other high-solid organic waste with a moisture content of less than 75%. This is more typical of a community waste stream. Dry AD is rapidly becoming the preferred solution in Europe for community AD. Two key installers of dry AD systems in the US are Zero Waste Energy in Lafayette, CA and BioFerm in Madison, WI. 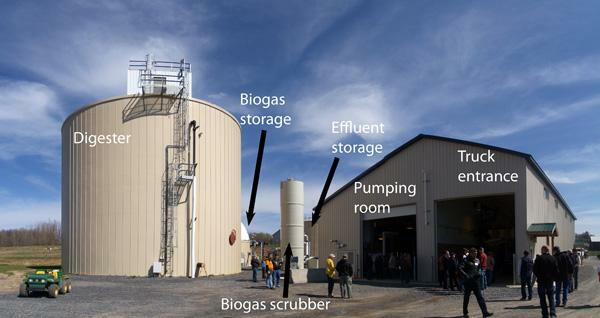 Video: types of anaerobic digesters. WSU video that explains the technology, the benefits, options and what is developing in this field. Volunteers at Vashon’s twice-yearly Fixit Fair saved hundreds of pounds of small appliances, lamps and other items from the landfill. This can be a callout from the page. Text goes here. First line or phrase in bold. And the rest in Roman.